The Aztecs left in their calendar a phenomenal conjunction in the 20 days of the month. In addition to the counting of days and the determination of their religious and agricultural destinies, their days show us the path we are to follow, the path of the work that must be realized to achieve the self-realization of our Being. Hercules in his twelve works shows the internal processes; in a similar fashion the Aztecs in their 20 days reveal the internal mission we should accomplish to reach liberation and thus, the state of an integral human being. The Nahuas knew about all things of matter and spirit as well as Nature. They were profoundly respectful of all that surrounded them whether visible or invisible. They designed 20 hieroglyphs for the 20 days of their sacred calendar. These were symbols and not signs; the difference being that a sign has only one meaning, while a symbol will allow for various interpretations. For example, our calendar has days of which their names have lost their symbolic original meaning. The day “Monday” no longer holds an association with the Moon (moon-day), its regent (Gabriel), and its Lunar ceremonies. The same has happened with the other six days of the week. 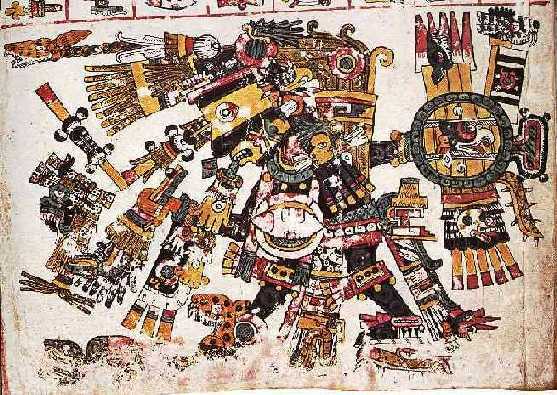 The ritualistic or sacred Mexican calendar was made of 260 days, called Tonalamatl, and it did not correspond to the natural cycle of time, but to a series of human attitudes and a series of cosmic, natural and human events all interrelated. It has also been suggested this cycle was related to the period of human gestation as well. Aztec codices show the act of conception, gestation and birth in relation to the moon through the representation of a water-containing vase in the shape of a uterus, where a rabbit sits representing the embryo. (Vatican Codex page 29 and Borgia Codex page 71). At the same time, each day was ruled by an Aztec deity, just as there were deities for the years, the months, the weeks and every hour of the day and night; all of which were attributes, virtues and unfoldments of a unique and principal God named Ipalnemouani, He for whom we live, (invisible Deity). 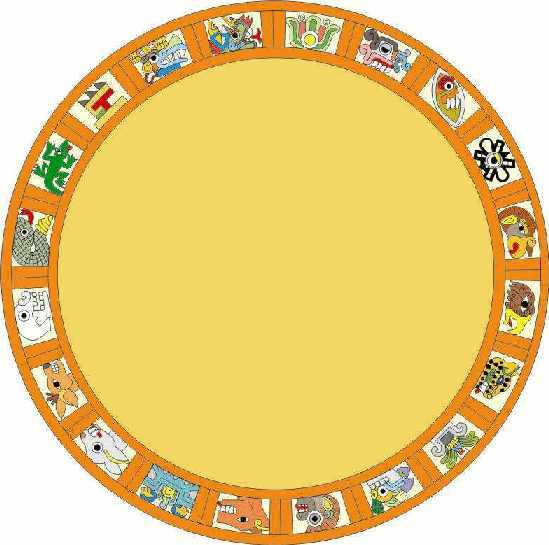 A specific god of the pre-Columbian mythology governed each sign and their traits are known because of the legends communicated throughout the years. Each glyph had a relationship with each part of the body such as is represented in the antique Aztec codices and as shown in the post-Columbian Codex of “Rios Vaticano”.